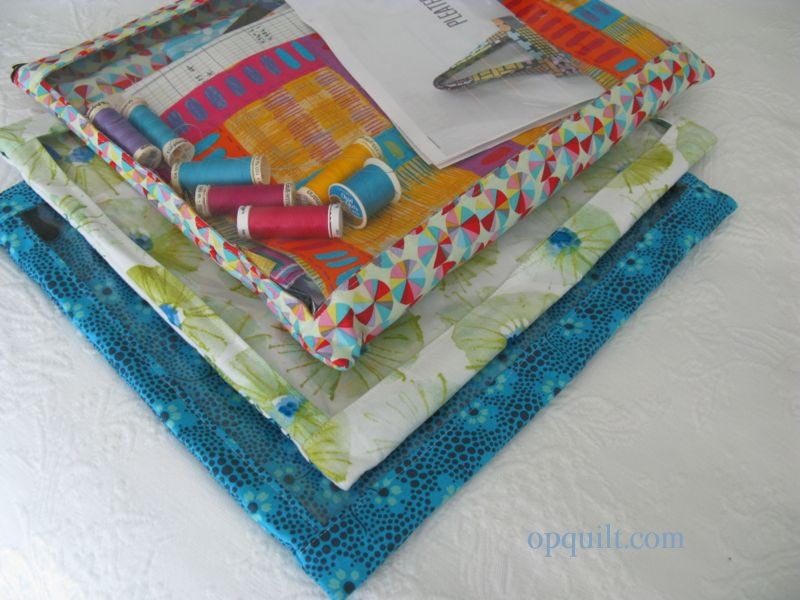 Project Portfolio Tutorial–Part I | OccasionalPiece--Quilt! Posted on August 19, 2013 by Elizabeth E.
A long time ago, in a foreign market, I bought zip portfolios to hold stuff. But they weren’t always quite right–too small, too rigid–for my projects, too wrong-sized. So I decided this summer to make my own. 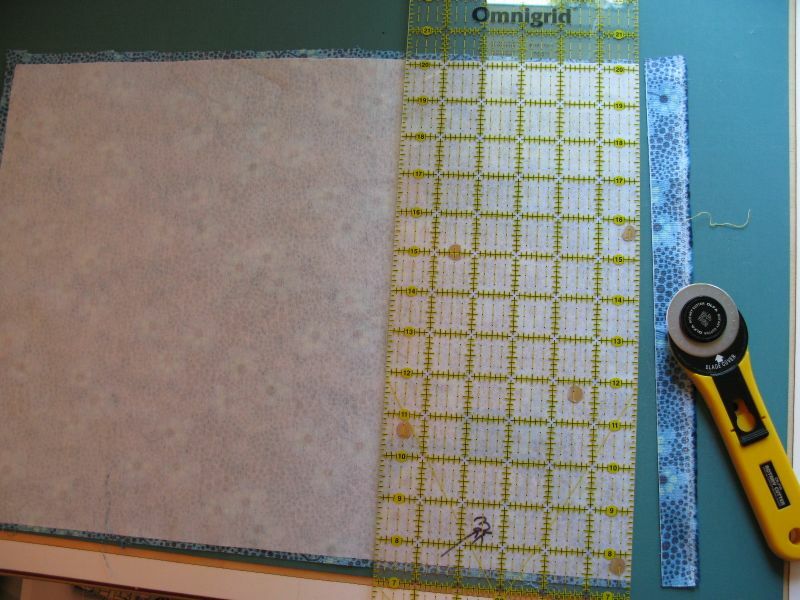 Lay the fusible interfacing shiny side (resin-coated side) down onto the Wrong Side (WS) of your outer backing piece. 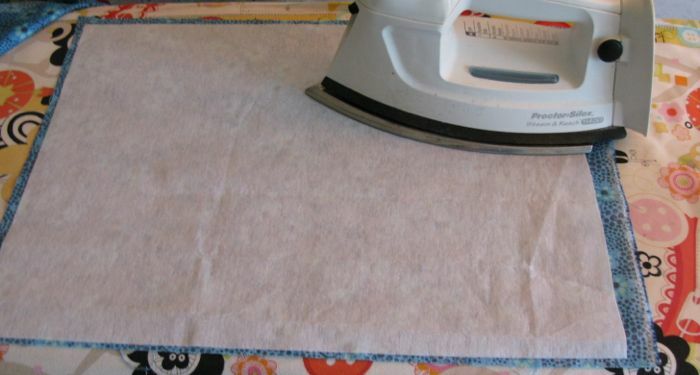 If you like to live dangerously, don’t use a press cloth while fusing the interfacing to the back in an ordered fashion: overlapping the iron shape, giving it a shot of steam, counting one-two-three-four in each position of the iron. 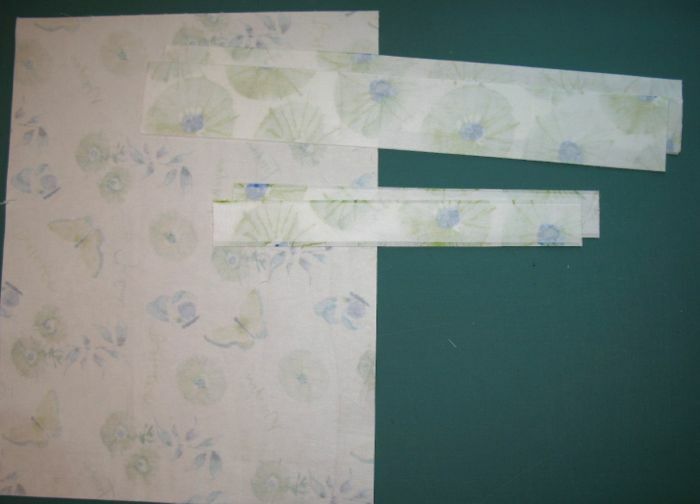 Lay the interfacing fusible-side down and fuse to TWO of the four narrower pieces that will border your clear vinyl window on the side. 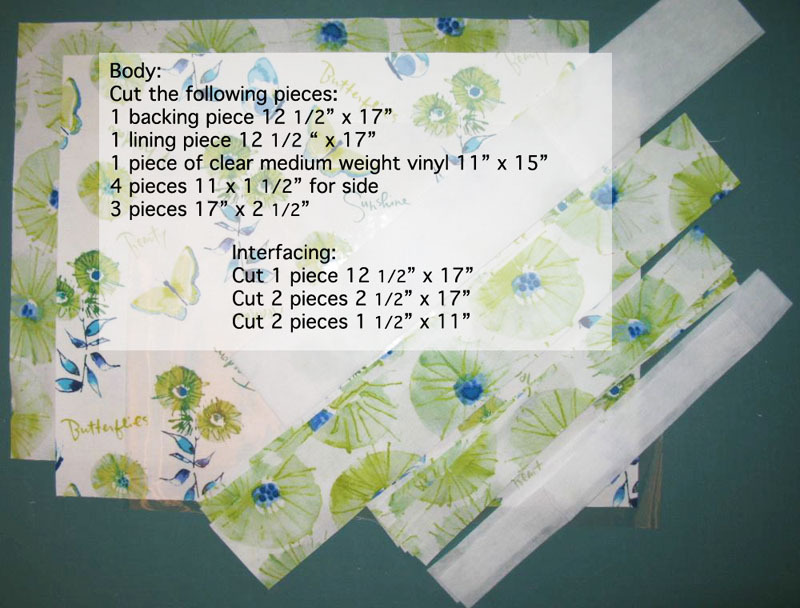 The results are above: one large rectangle of interfacing fused to main back fabric, and four pieces of interfacing fused to the four strips of main fabric. 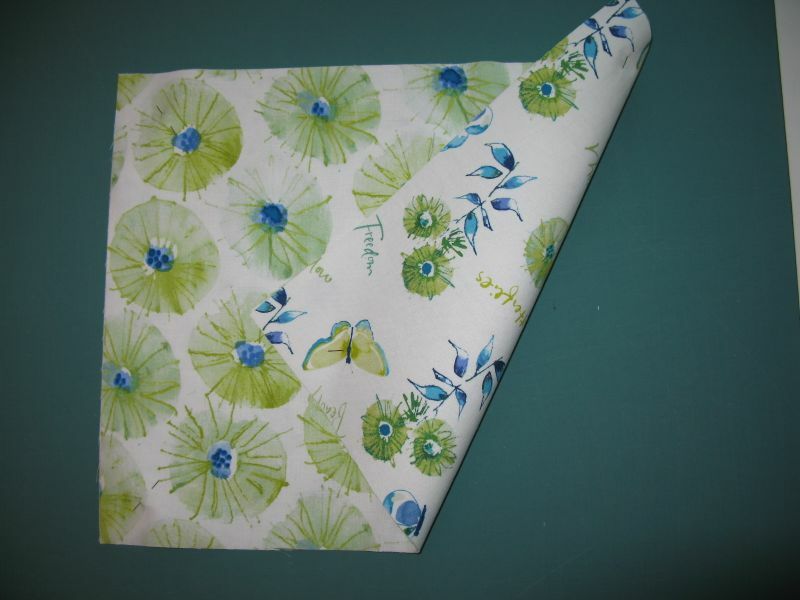 Trim up so the backing is even with the interfacing. Try not to fixate on the fact that now your portfolio will be a hair smaller. It’s really not important what the final dimension is, as you can still pack a ton of stuff in there. Trust me. 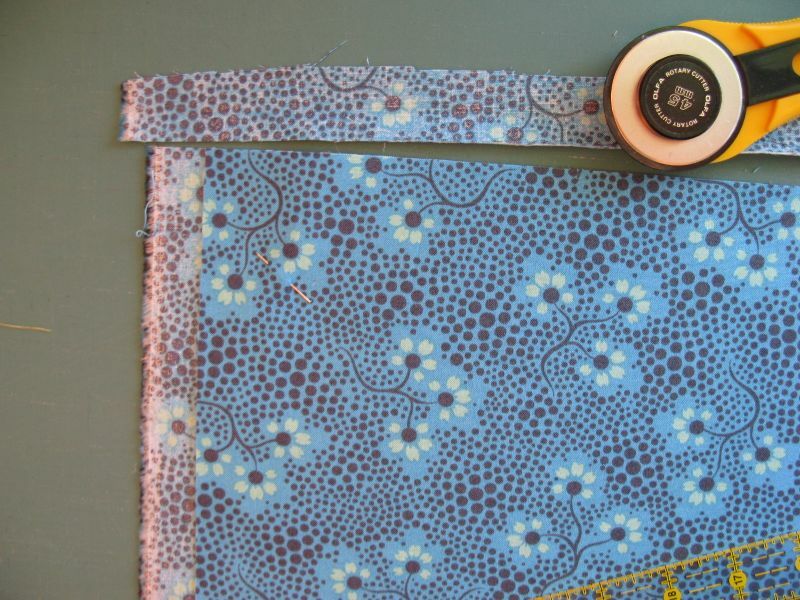 Lay the fused backing piece on top on the lining piece, making sure that both right sides of the fabrics are facing outward. Pin. Trim. So this is what you’ll have: a two-sided rectangle. Unpin the two layers, and set aside for now. Tomorrow’s post will show STEP TWO: Making the vinyl window front. All of these folios measure roughly 11 x 17. You are more than welcome to make these for your own use, or sell them in a craft faire, but please please, don’t take any of my tutorial and copy it onto your blog. Link back here, if you would. And please please don’t steal my content to make your own pattern, and call it your own. Practice Friendly Attribution, if you please. I think I need to make about 10 of these! So good to finally meet! 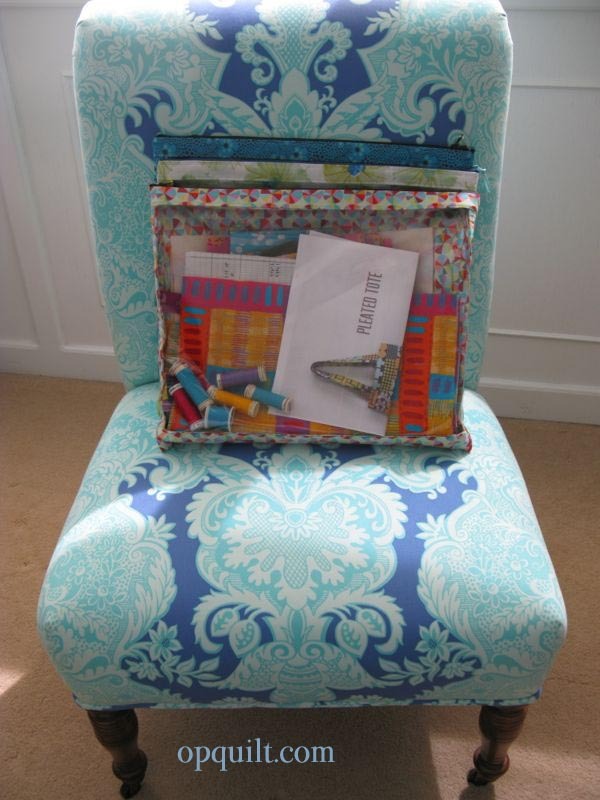 Pingback: Elizabeth’s Project Folio–Part III (Bringing it Home) | OccasionalPiece--Quilt!